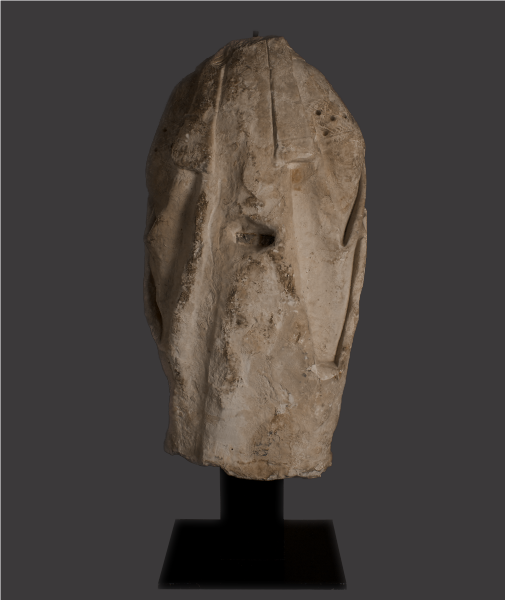 The removal of limbs renders the victim powerless and vulnerable, the detachment of the head takes away not only the identity but the intellect and the soul, effectively removing the centre of power and perhaps symbolically revealing the ultimate intention. 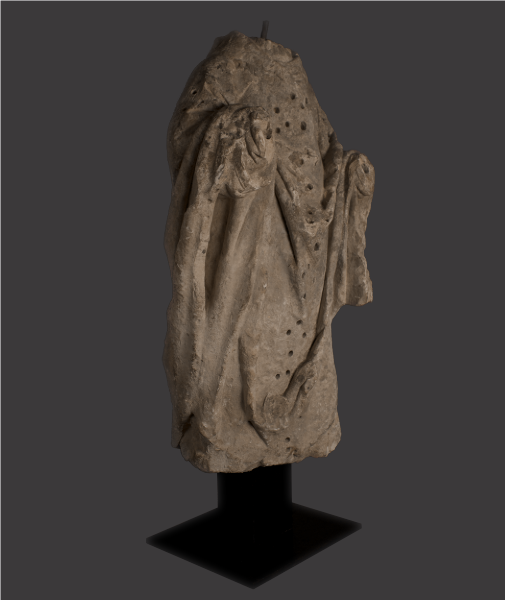 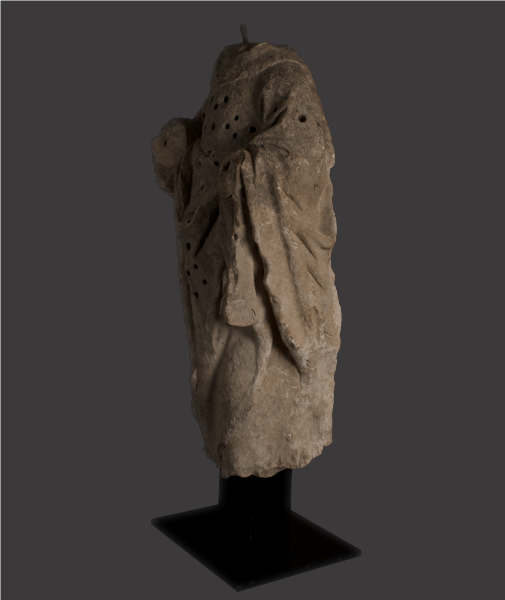 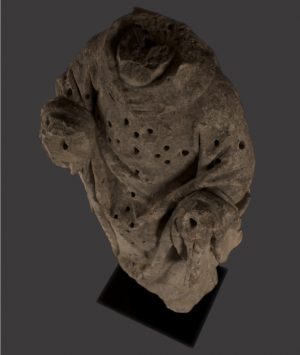 This draped, near life-size devotional figure was probably desecrated during the 18th century French Revolution, a time when many beautiful carvings were defaced, damaged or destroyed in scenes reminiscent of mid 16th century England during the reign of King Henry VIII, not by mindless action but by government sanction. 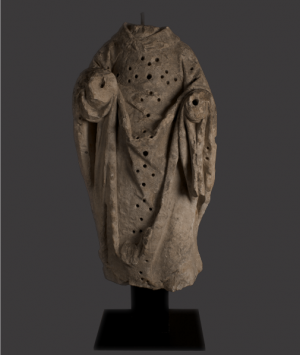 It now stands with what remain of the arms, held in defiant benediction, the robes still display traces of intricate cross hatched decoration with the multiple recesses, (once containing jewels), forming small cruciform which combine to repeat the design in larger format filling the torso. The surface has acquired a fine, attractively worn patina from protracted human contact and exposure, revealing multiple fossil inclusions within the stone.